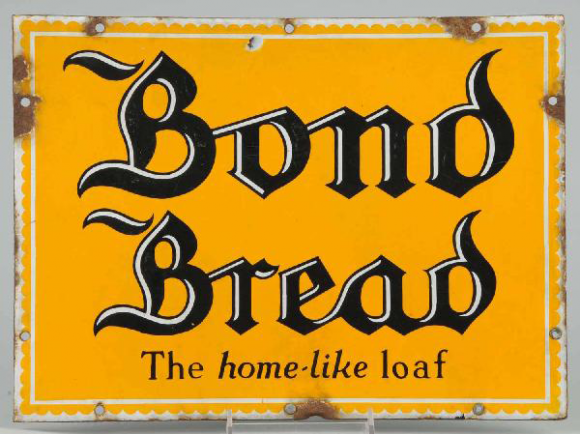 This is a rectangular Bond Bread porcelain sign. This particular Bond Bread sign features black text against an orange background. It reads, “Bond Bread, The home-like loaf” and has a white border.